After months of speculation, Amazon now has finally announced its answer to Apple TV/Chromecast/Roku in the form of Fire TV. 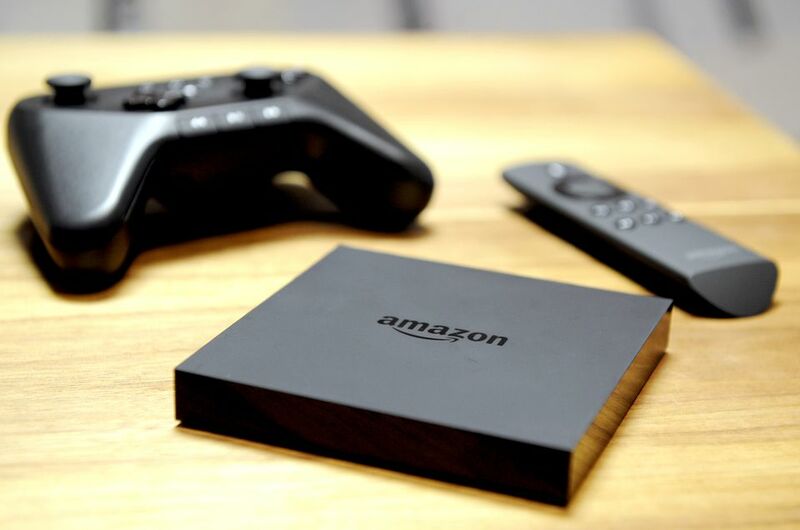 Amazon Fire TV is a tiny box that plugs into your HDTV and not only does it stream but it also lets you play games – thousands of games. The FireTV may be small and god looking, but it’s packing some serious specs—or at least serious enough to justify it being a gaming device too. In that little black box, Amazon’s packing a 2 GB of RAM, a quad-core processor, and a dedicated GPU. As per Amazon, these specs mean three times the power of Apple TV, Roku, and Chromecast. And that’s not all – Fire TV also boasts dual-band, dual-antenna Wi-Fi, 1080p HD video, and Dolby Digital Plus surround sound. Fire TV looks—and sounds—absolutely amazing. An interesting features is what Amazon calls ASAP that predicts what movies and TV episodes you’ll want to watch and gets them ready to stream instantly. Sounds familiar to Silk browser on Amazon Kindle. Most of the functions in Amazon Fire TV are pretty straight forward, but it’s a nice touch, especially for the less tech savvy out there. The Fire TV is definitely a streaming set-top box you could give to your grandmother (if you didn’t gift her a Roku yet!). User interface is intelligently designed and is extremely intuitive. Probably the most impressive feature — at least compared to other products in this category is the voice search. To use it, you speak directly into the Bluetooth remote, which is pretty comfortable and fits in your hand nicely. There’s a Home, Back, and Menu button on the remote, which about the only signal you’ll find anywhere that this is an Android device underneath it all. Around the back of the device, we see the basic ports you’d expect: HDMI, optical audio, Ethernet, power and USB. Software is powered by Android. Amazon is saying that the Fire TV is “open,” and ratings come from IMDB, as do many of the X-Ray features that let you look at related info on your tablet. As for that competition, the Fire TV seems to be a really solid option — at least in the $99-and-less category. It feels faster and more intuitive than a Roku, it’s easier and far more useful than a Chromecast, and the voice search on the remote is definitely nicer than on the Apple TV. Each of those competitors has its own distinct advantages, too. The ASAP feature, though highly publicized may just be something you don’t use much. In our tests, it did feel synonymous with the word ASAP. I can definitely use the wait time to stretch and not cringe about the wait. HBO Go app is missing – almost all others are there. Nothing special for existing Prime members. New members can get a free month of Prime and Netflix. No May Day for Fire TV. Amazon Fire TV definitely makes a compelling buy. Even the features we did not like are minor and easy to ignore or overlook. If you have an Apple TV or Roku – there isn’t a good enough reason to ditch your Apple TV or Roku and buy Fire TV. But, if you’ve been waiting for one – the time is now! Get details of Fire TV on Amazon.